Today was a warm day here; mid to upper 80s. We worked inside most of the day and made a late run to Costco. I had a big bag of "7 Superfood Salad Mix" that needed to be used so we had big salads for dinner. 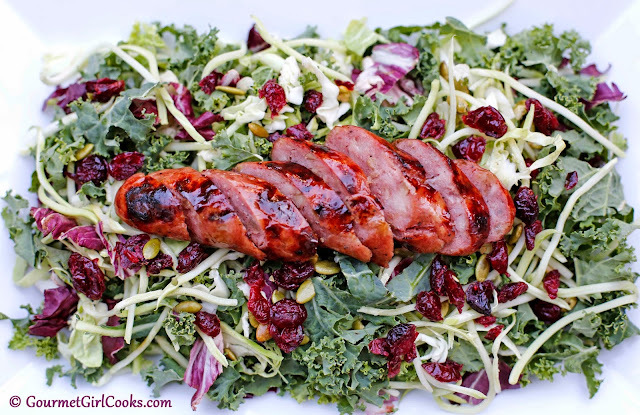 I usually top our salad with grilled chicken but decided to grill some Aidell's Chicken & Apple Sausages to slice up and put on top of our salads this evening. It was a nice change and grilling them adds a nice flavor as well. It was nothing fancy but perfect for the warm weather here today. I snapped a coupe photos below. Enjoy! 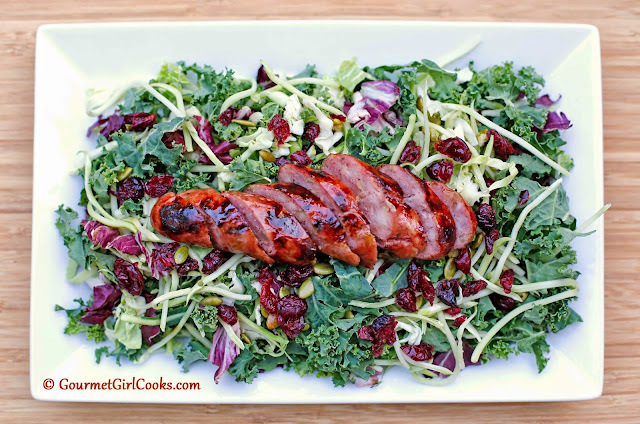 Easy Coleslaw & "Mixed Grill"